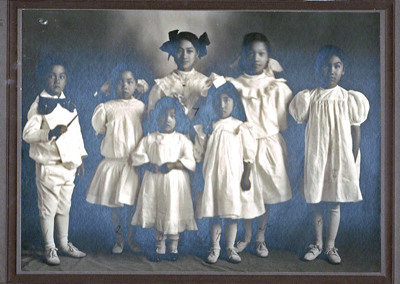 Jeffrey L. Staley recently published a book on his wife’s family. Although the book is fiction it is based on real people and true events. 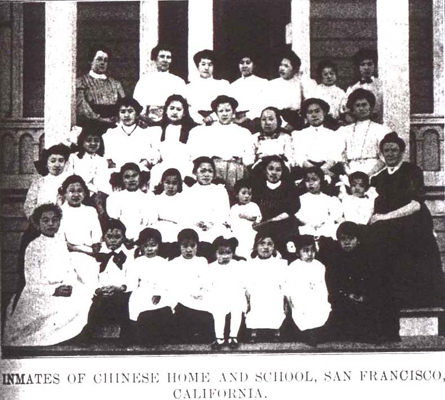 The Chinese Exclusion Act case file published in September 2017 on this blog for Nelson Wah Chan King mentions the Methodist Oriental Home in San Francisco, where Staley’s wife’s grandmother, Mei Chun Lai, was also raised. 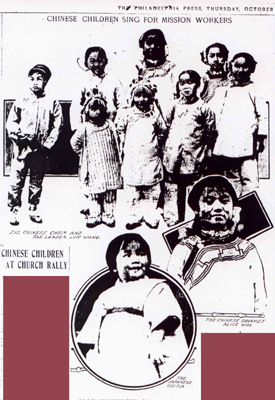 The mother of Nelson Wah Chan King, the subject of the blog entry, was Lily Shem. 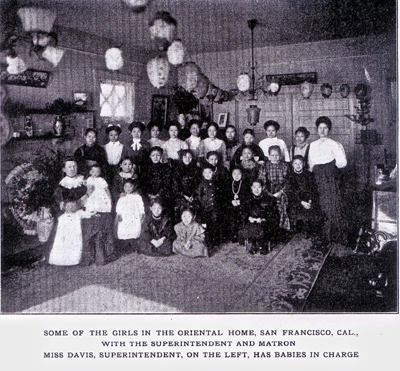 She and her younger sister, May, were both raised at the Methodist Oriental Home. 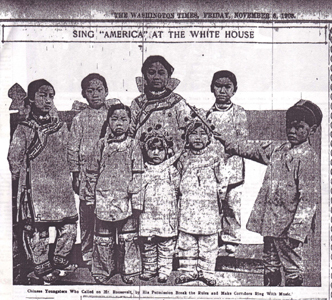 Mei (Maud/Maude) Chun Lai, Jeffrey Staley’s wife’s grandmother, and several other Chinese children including May Shem sang for President Theodore Roosevelt in the White House on November 5, 1908. 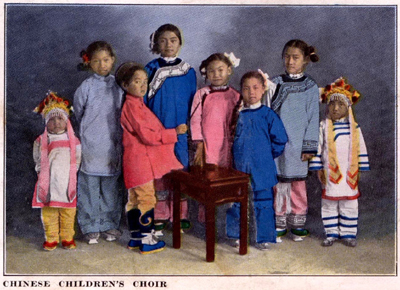 1 “Chinese Youngsters to Sing in English,” Salt Lake Telegram, 27 Feb 1909, p 1. Photos courtesy of Jeffrey Staley.